Great scenery, fascinating nature – environmental journalism can be inspirational. But it is also designed to show what is happening to our climate. The European Climate Initiative (EUKI) is supporting work in this field with a grant for journalists. We journalists from Germany, the Czech Republic, Slovakia, Hungary, Slovenia and Croatia devoted our full attention to reporting on the environment between October and December. The programme was organised by the journalists’ association IJP (International Journalists’ Programmes) and funded by EUKI. Five German journalists spent two months in Central and Eastern Europe and five journalists from the other countries spent them in Germany. Our aim was to identify and research environmental and climate issues, further our personal development and, of course, report on our experiences. The Danube winds its way through Hungary in a virtually straight line from north to south. On its way, it passes by the small town of Paks and the nuclear power plant of the same name. This is where around one third of the electricity consumed in Hungary is produced. For me, this was one of the first issues I focused on in my two-month stay in Budapest because there are plans to expand the nuclear power plant. Two new reactors are set to replace the four old ones, which need to be taken off the grid owing to their age. After this, the Paks nuclear power plant is expected to generate even more electricity than before. While the phasing-out of nuclear power has been under way for a long time now in Germany, Hungary is ramping things up. However, there are differing views on the project: I spoke to an environmental organisation and a European Green Party politician, and also with the spokesperson of the nuclear power plant and the secretary of state responsible in this area. The findings of the research were broadcast on German radio station Deutschlandfunk and on WDR 5. 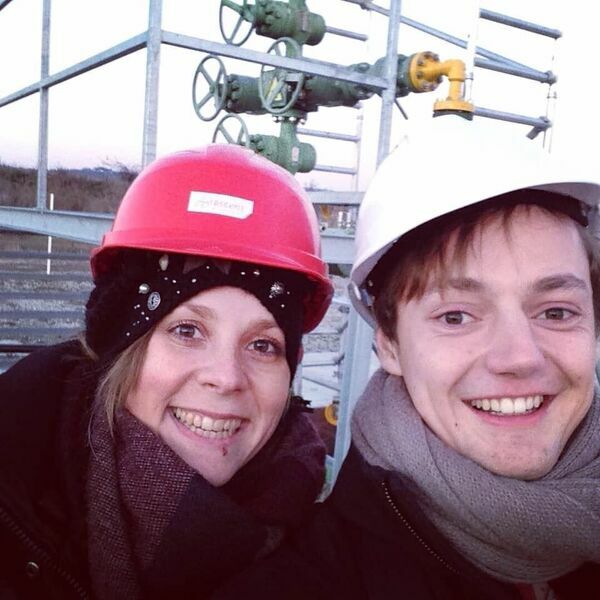 The issue of fossil fuels was of particular interest to our Eastern European colleagues. Only a few weeks before the start of the journalist exchange programme, the protests in Hambach Forest caused a stir. While all of this was going on, the diesel scandal was in full swing (as it still is), fuelling reports by various different media outlets in Croatia, Slovenia and Hungary concerning the phase-out, the Asse II radioactive waste repository or Environmental Action Germany. The climate and environmental grant is the result of a partnership between the journalists’ association IJP, EUKI and Clean Energy Wire, a non-profit service for journalists. It is initially set to run for three years. Each year, five German and five Central and Eastern European journalists will have the chance to focus and report on climate and energy issues and thus raise awareness of one of the most important problems of our age. Markus Meyer-Gehlen was a scholarship holder of the EUKI journalist project in 2018. For six weeks, he researched climate issues in Hungary. Usually, he works at the German radio station WDR.